1. WOW–the bombing & riots in Pakistan! 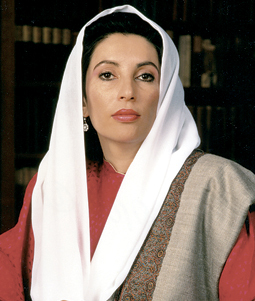 Benazir Bhutto has real guts-you know her father & brother were assassinated. A big majority supports this WOMAN & her pro-Western, anti-terrorist views!!!! 2. A RECENT TEST AT LAX: 75% of the screeners involved PASSED DECOYS thru security–carrying faux bomb-making materials. THIS DOESN’T SHOCK ME !!!! 3.Went to the great Paul Smith store on Melrose (down the street from TOMMY PERSE’S notable emporium!) where talented Bryan Rabin transformed the parking lot into a deluxe tree-lined screening room. We couldn’t resist shopping. A beautiful men’s velvet jacket was purchased & I got a giant green plastic cactus, an art piece created from Gufram from 1971 (I had been dreaming of it for years & about blue Yves Kleins, too). I love the delicious Paul Smith Rose scent–my new fave. The movie Smith hosted was the outrageous Brit cult fick, Withnail & I, (1987). I had never seen it, but heard about the legendary performance of Richard E. Grant. It was really something & so was Bruce Robinson’s terrific work as writer & director. Many thanks, Paul Smith!